The BCTF, BC Liquor Stores and Dry Grad. 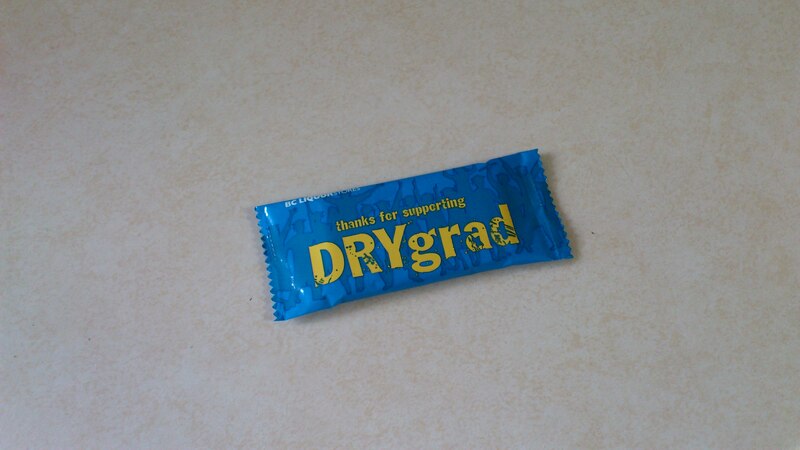 Ah Dry Grad, I remember it well. Actually I barely remember it at all but I’m sure glad it was around back when I went to high school. If there wasn’t a dry grad I’m sure that one or more of my friends, or even me, would have made some bad decisions that night and our lives would have ended up very different then they are today. So what does dry grad have to do with the BC Teachers Federation and BC Liquor Stores? A lot actually. BC Liquor Stores raise money for dry grad by selling chocolates at the checkout for $1 with all proceeds going towards local dry grad programs which begs the question…who will be running dry grad if the BCTF is still imposing it’s limited job action at graduation time? I know that dry grad is, in most cases, a joint effort between a student committee, parents who volunteer their time and teachers who supervise the event itself. I remember quite clearly that some of my most (and least) favourite teachers were present at my dry grad. If there’s no dry grad because the teachers have suspended all extra curricular activities then where does the money from BC Liquor stores chocolate sales end up? More important than the money is the fact that a lot of kids might not have a safe place to go after their big graduation celebration. I know this brings up the issue of under aged drinking which is a serious problem at graduation time. It blows me away that it’s still so easy for under aged kids to get alcohol. I just hope that someone higher up than me realizes we may be headed towards a very deadly graduation year before it’s too late. Actually, this story is completely incorrect. Before implying that job action will result in students not having a safe place to engage in dry grad activities, perhaps a fact check is needed. Teachers organize and supervise Grad, both the graduation ceremony and the banquet or “prom”. Dry Grad is entirely put on by parents. We, as teachers, have nothing to do with it and neither does the school. The event is entirely independent of the school itself and the school board as a whole. Dry Grad is organized and supervised by a specific group of parents that are known as the Dry Grad committee. Sometimes they hold meetings in the school. That’s their only affiliation. So job action has NOTHING to do with Dry Grad. Just to clarify, school officials including teachers and principals do not supervise Dry Grad. We never have in the last 11 years that I have been teaching. Parents are the only ones that are allowed to supervise it. We only supervise the ceremony and banquet.